On Day 18, we welcome Stephen McQuiggan! I completely agree with him on the favorite horror movie – The Exorcist – scariest movie ever. There’s something in Troughton’s Moss that’s been there for ages. It speaks to the people of Ellsford, whispers in their ear, burrows into their minds, like a Brainworm, and it tells them what to do. THE MADONNA Twenty years ago it spoke to Paul Cunningham and set the wheels in motion. He brutally murdered, then raped a young woman. A short while later, within the narrow confines of her grave, she gave birth to … THE CHILD Grown to adulthood, it moves undetected amongst the people of Ellsford with only one purpose. THE END TIMES The time has come. The Moss is beginning to give up its dead, sacrifices made in its name throughout the ages. THE CHOSEN ONE Dobson Heather, a child of the Moss himself, has been marked. But is he Ellsford’s salvation, or their damnation? I started writing short stories about five years before tackling the novel and have had around 70 or so published to date. No matter my original intentions, the stories always ended up in a dark place. By the time I got round to the novel I stopped trying to fight it and just embraced the monsters and demons that flooded eagerly from my pen. I’ve always loved the genre – I can remember sneaking downstairs when my parents went to bed to watch the late night horror shows – and the black humour attendant with it, so it feels natural that this is what I write. The setting for my book was inspired by an old wasteland near my home – it’s probably my favourite place on earth, so in homage to it I transformed it into a birthplace of obscenity and evil then built the story around it. I wanted to write a horror tale that was set in the sunshine rather than the dark, and in a modern day small town without any gothic trappings. I wanted the characters to be realistic and banal in their aspirations, then murder them in the most gruesome way imaginable. Being from Northern Ireland the religious overtones were pretty much inevitable, but I tried to use them to lend some dark humour to the story. Nice vampires! The kind that twinkle in the sunlight and drink only animal blood (and humanely killed animals at that) and look as if they have just left an X Factor audition for moody boyband stereotypes. Make it stop. Now. I want my vampires to look like death and smell like rats. I want them gouging and tearing at necks in a frenzy to get at blood: Human blood. I want dead babies under their cloaks and contempt for the living in their eyes, and I want their beautiful female acolytes to have the sexual morals of a butcher’s dog. Oh, I always hate it when the car fails to start at the worst possible moment in horror movies too. I’m working on my second novel – a tale of a rural community in thrall to three river demons; of suicide, sexmagick, sacrifice and patricide. It’s a barrel of laughs. It’s very difficult to pick just one of each – they change so much. For the movie I guess I’d have to plump for The Exorcist. I saw it at a ridiculously young age and it absolutely terrified me. Although it has been parodied and lampooned to death it still retains its power to creep me out. I’ve watched it countless times and I’m still struck by the juxtaposition of innocence and pure evil – of the little girl and the Devil himself. In that regard, it is probably the ultimate dark fairy tale. As for the book, Peter Straub’s Ghost Story would have to rank highly. It encompasses the whole genre I think, harkening back to the classic work of writers like Le Fanu and M.R. 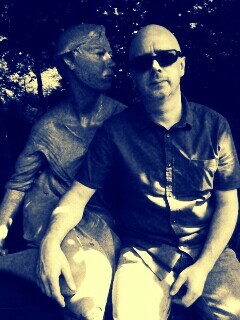 James whilst simultaneously giving a nod to the likes of Stephen King and more modern tropes. But it is the writing that makes it special – I devoured that book, all the while feeling depressed that I could never craft a novel with such beautiful precision. In hindsight, maybe that was the most horrifying thing about it. Stephen McQuiggan liked nothing more than walking under ladders, breaking mirrors, and taunting magpies until he fell into a sudden and inexplicable coma. 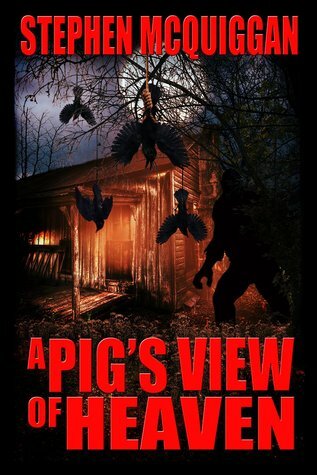 His first novel, A Pig’s View Of Heaven, is available now from Grinning Skull Press.